Where did I put my ring? Do you suffer from bathroom blues? You have whatever storage the architect decided would suffice but it’s not enough, not even close? 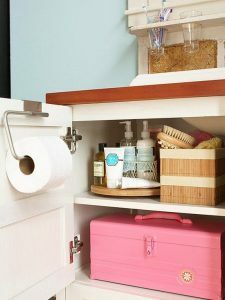 More and more bottles, jars and cans burst forth from cupboards until you’re using the edge of the bath, the toilet cistern and the top of the shower screen as emergency shelving. There has to be a solution. 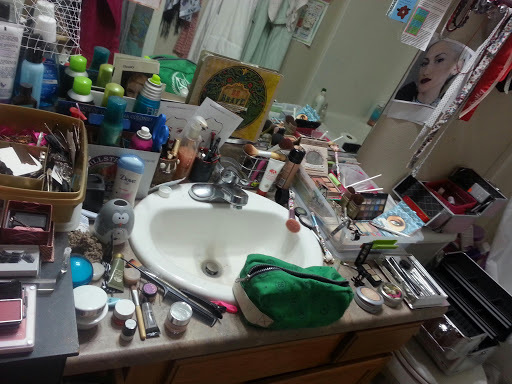 The easiest is to have minimal toiletries in the bathroom but we all know that’s not going to happen. There are clever people out there solving problems for us all the time, so let’s find out what they’ve come up with. You have either an under washbasin cupboard or a cabinet over the sink, or both. The cupboard probably just has two doors and a couple of shelves which means less used items gravitate to the back and can be forgotten. The solution can be a lazy Susan. Not the big one from Chinese restaurants but a small one for stacking your bottles and cans. If you have a pedestal sink or wall-mount sink and no cabinets to speak of, there is still hope for you. IKEA has RÅGRUND shelves which can fit around pedestals and pipes. There are other units designed specifically around pedestals sinks, try a rolling organiser. We’ve rounded up some more great ideas on the next three pages.